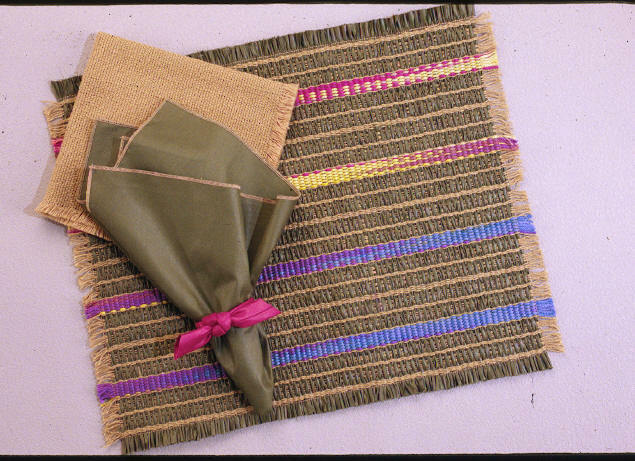 "Grosgrain" Handwoven placemats. Available in eleven color standards. Hand-dyed band changes color, or may be ordered in color specific. Machine washable, line dry. Matching chintz napkin included.